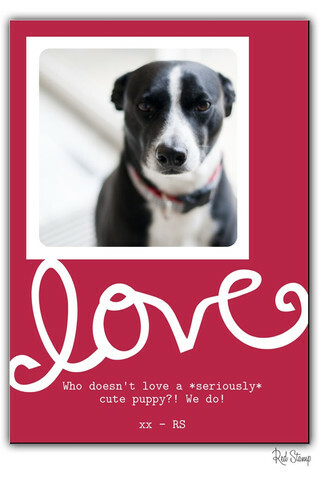 Red Stamp comes just in time for Valentine's day. 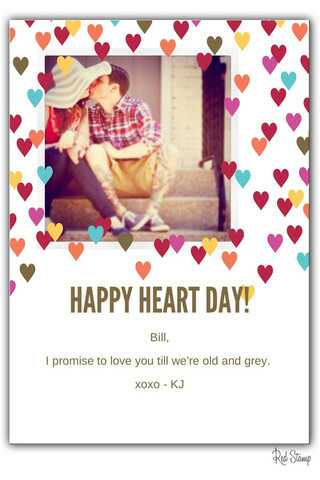 It's a sleek app that lets you email, text, (or even send regular old paper mail) personalized cards, notes, invitations + announcements. All effortlessly, right from your iPhone or iPad. 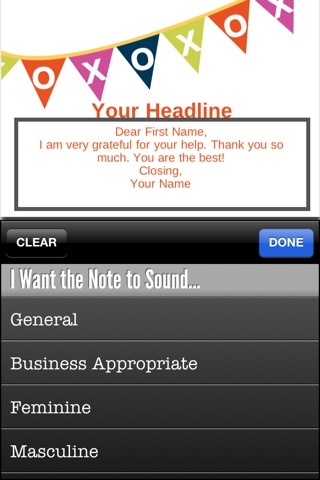 After you choose a template you can choose different color themes for it and then customize it with texts and photos. You can add your photos from either your iPhone (camera roll or taking a new picture), or choose one of your photos from Instagram or Facebook. 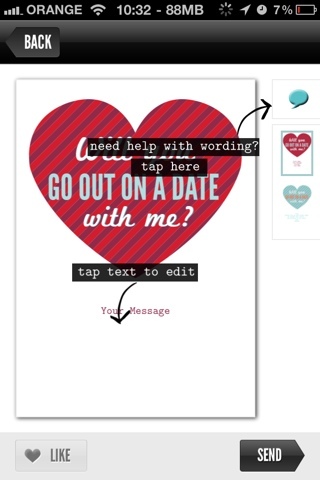 You can then use Red Stamp's text helper to help you with the text you want in your card. It gives you different options to help you set the tone based on the event you selected and the type of card you chose. For example if you choose to send a thank you card it will ask you to select what you are thankful for (advice, getting together, help, a gift...) and it will then fill in the text for you. Very useful. Once you are done setting up your card there are different options for sending it. You can send it by email, post it to Facebook or Twitter, send it as a text message, save it to your photo, and even mail paper cards (as in real paper cards that are delivered to the person you choose). Paper delivery takes 5-7 days if you are sending in the US or 2-3 weeks for international delivery. Obviously those cost money. 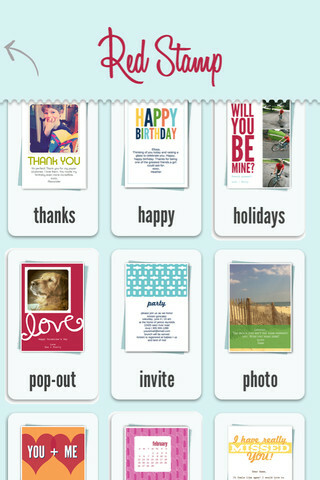 In addition, Red Stamp can connect to your Facebook account and automatically give you reminders about friends' birthdays so you can send them cards. Red Stamp is free and works on both the iPhone and iPad. Get it now to make your life easier starting from this Valentine's day.